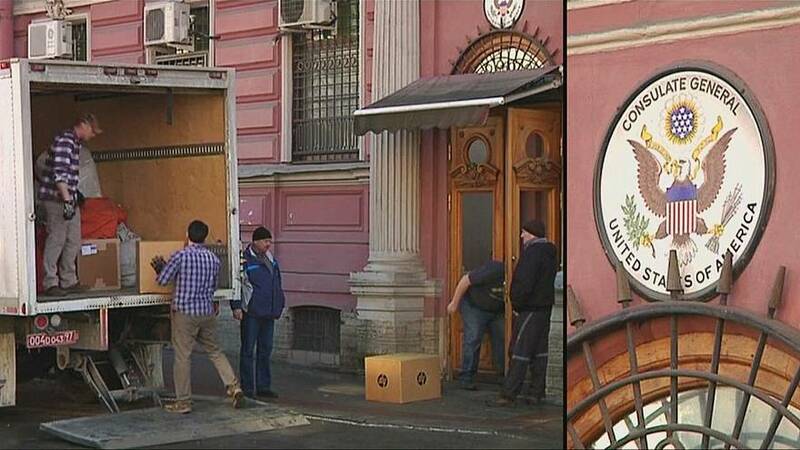 US diplomatic staff continued to move items out from their consulate building in St Petersburg on Saturday (March 31) after Moscow ordered its closure and the expulsion of 60 US diplomats on Thursday (March 29). The mass ejection of staff came in response to Washington's expulsion of 60 Russian diplomats on Monday; an order which was made following the poisoning of a former Russian spy in Britain. It was the biggest expulsion of Russian embassy staff from the US since Ronald Reagan's presidency in the eighties. The UK and its western allies in Europe and America say Moscow is behind the attack on former military intelligence officer Sergei Skripal, although Russia denies the claims.